It’s great to be back in the Analogue Synth world again after the long break due to a busy few years at work flying airliners. Now I have some time available and I can get back into doing what I enjoy. I had always planned to sort out the Emu modular parts, (mainly a collection of sub modules) that I had from the 90s but never thought I would go so far as recreating a complete Emu modular system! So how did it all start? Back in 1992 I was offered a modular system by a pawn shop in Madison Wisconsin who had had the system for 8 years with no one knowing what to do with it. They couldn’t tell me much about it other than it had aluminium front panels and it sounded like someone’s home built. I bought it unseen mainly out of curiosity and when it arrived I was gobsmacked. Here was one of the best looking modulars I had ever seen in a beautiful walnut cabinet and in flight cases. A definite bargain especially when I plugged it in and found that it was fully working! 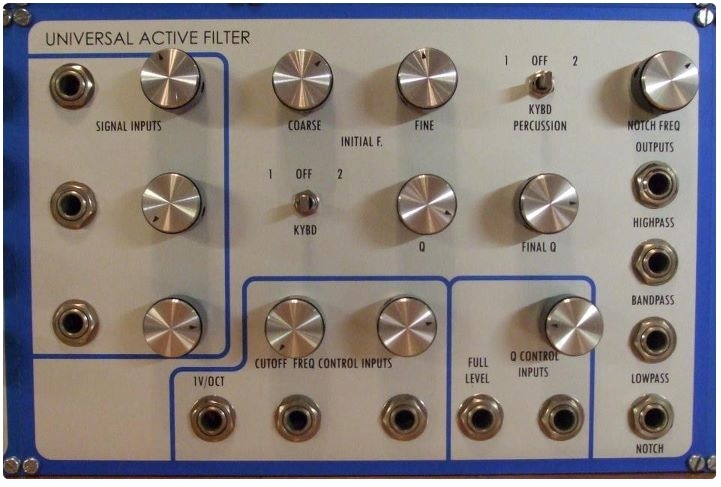 It turned out that it was a very rare Emu modular system and in no time at all a shop in London made me an offer I couldn’t refuse with the system eventually ending up in a synth museum. I subsequently managed to buy a home built system based on Emu submodules but mounted on poor quality PCBs and with grey dull looking front panels. After a lengthy phone call to Emu I acquired a box full of parts, unused PCBs and submodules, which I planned to use to build up another system. Time just wasn’t available to complete the project until now! It has taken ages to completely redo all the printed circuit boards, source the rare original parts, and complete the artwork for the front panels but I think it has been worth it. I now have my own system looking as good as, if not slightly better than, the original and because it uses the same 1970s technology it has the same sound. The proposed ‘Pioneer’ system will be a redesigned version of the ‘Tribute’ utilising modern and more readily available parts but still maintaining the original look. 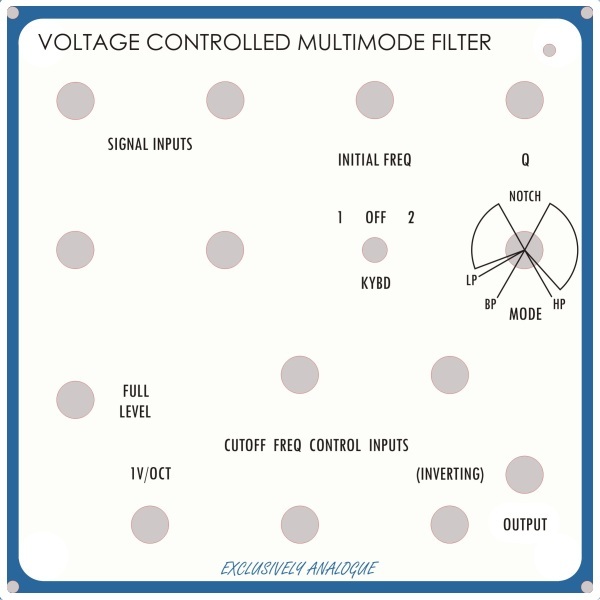 The first Pioneer module will be the Multimode filter which is already at the prototype stage and fitted in my system. Well it’s back to the soldering iron and building a couple of Transient Generators today but I will provide some regular updates so keep watching the progress and as a quick thank you; I’m indebted to Rob Keeble of AMS and Senso of Vintage Planet for their help.